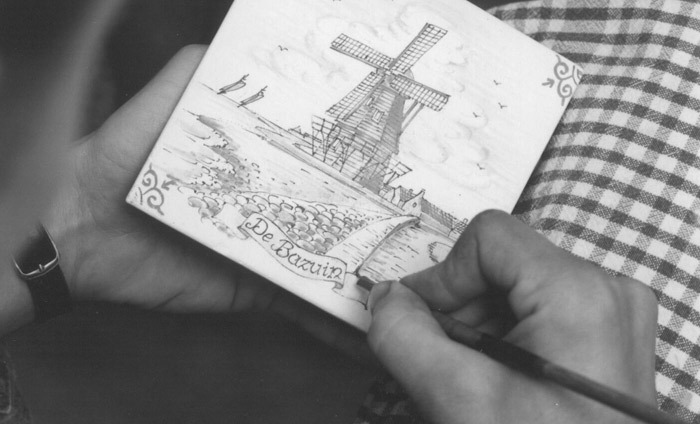 Majolica made in an original manner in Friesland, The Netherlands. 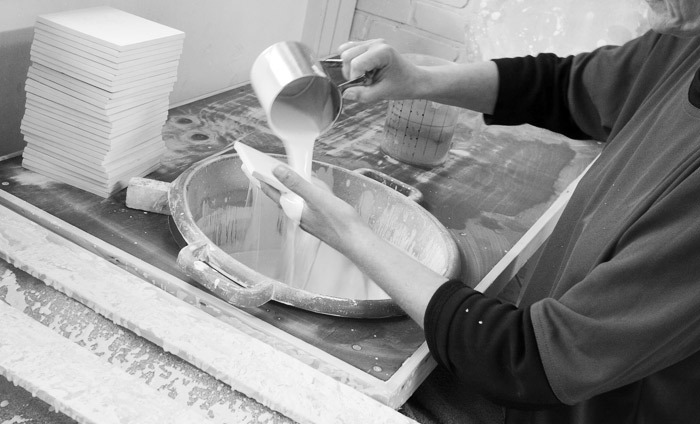 We make the tiles completely by hand according to traditional techniques. 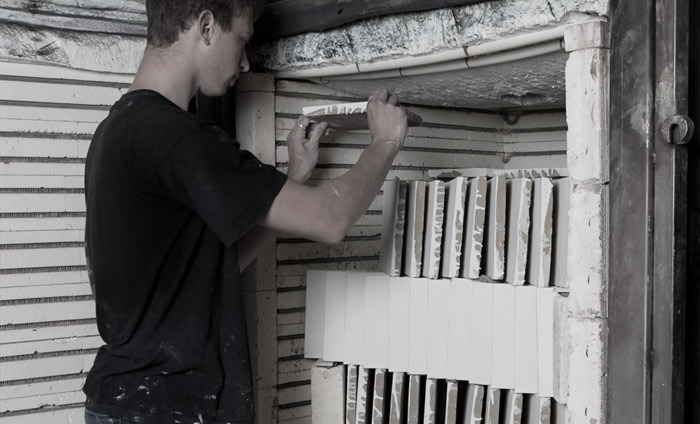 The process of making the tiles is explained in 8 steps below. 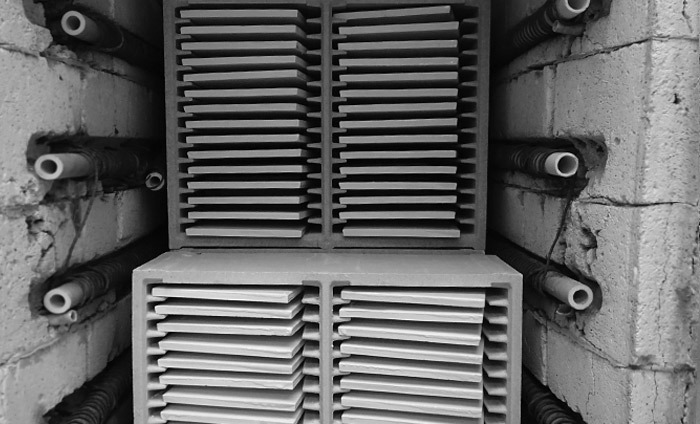 The clay is purified and mixed with water, kneaded and the air is removed in a vacuum press. 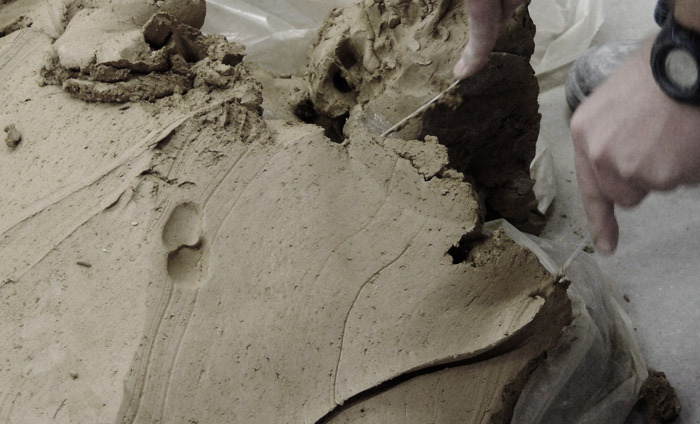 The soft clay is then rolled to a thickness of ± 8 mm. 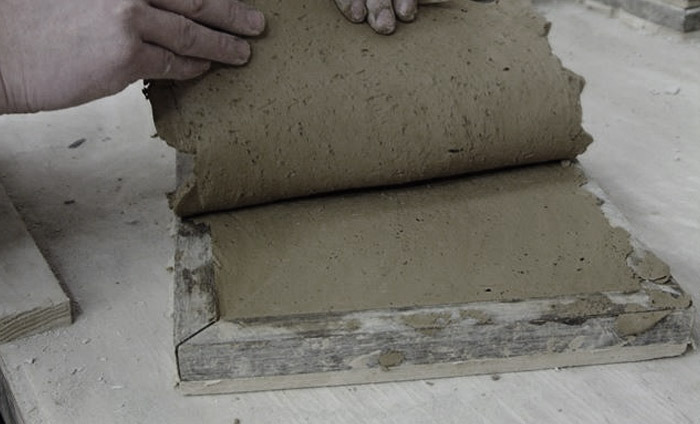 This rolled 'paste' clay is left to dry overnight so it becomes harder and is then suitable for tile processing the next day. Cutting to size is also called 'cutting up'. 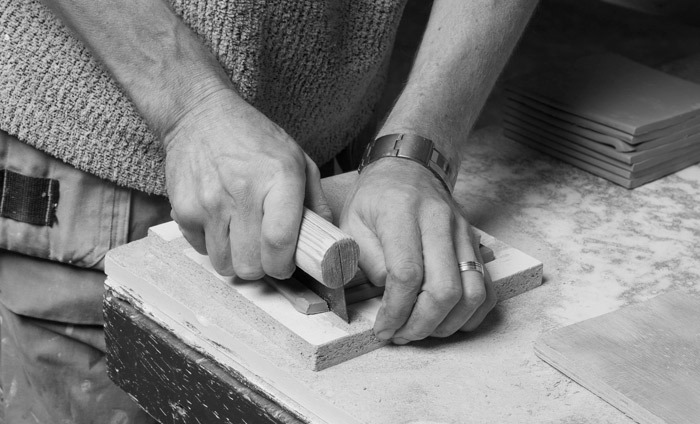 The tile maker uses the same tools as 400 years ago, namely a knife and a wooden mould with nails in the corners. The nails keep the mould in place. Real crafted tiles always have holes in the corners. 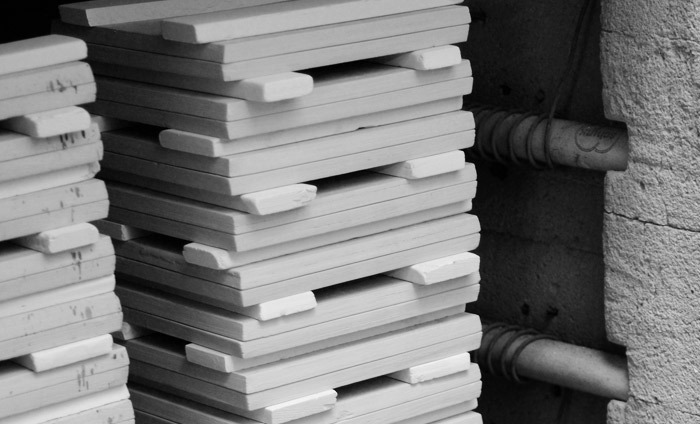 The tiles must first dry before they can go into the oven. The stone that lies on the pile is there to stop the clay from warping. After drying, the tile is baked for the first time. The tiles are then called bisquit. The clay is then glazed and is prepared according to recipes from the 16th and 17th century. The nuanced colour tone characteristic is created by this action. The painter uses a sponge for every decoration. 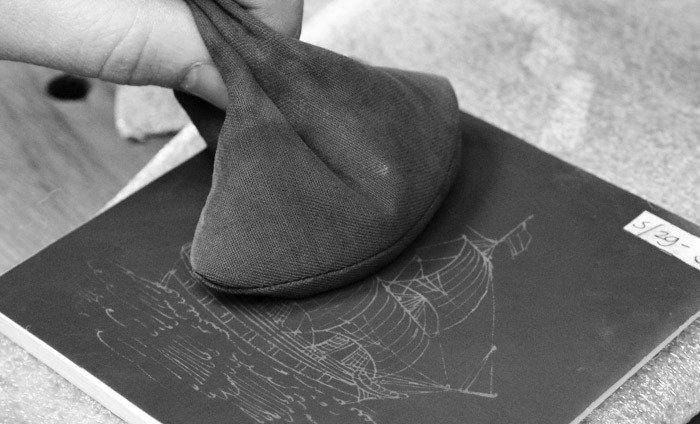 A sponge is a decoration drawing tool that leads to finely pierced contour lines. This sponge is laid on the still wet glaze and dusted with charcoal powder. The now visible dotted line is the only guideline for the painter. The dotted line is drawn with a thin drawing brush and then filled in with colour. 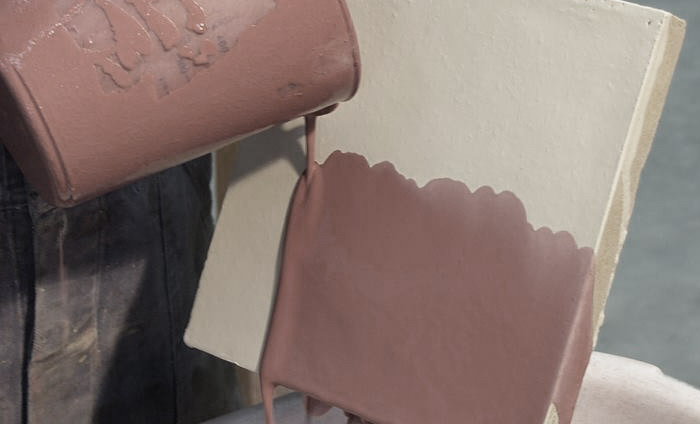 The paint used to paint is in fact glazes that are applied to colour by adding a metal oxide. They merge with the layer of tin glaze during the second fire. Although the framework of the decor is fixed by the sponge, the style of the painter remains recognizable. For example, the use of sea and air scenes determine the painter's style and thus the uniqueness of each product. The second fire follows after painting. After this, the tiles are checked and ready for use. 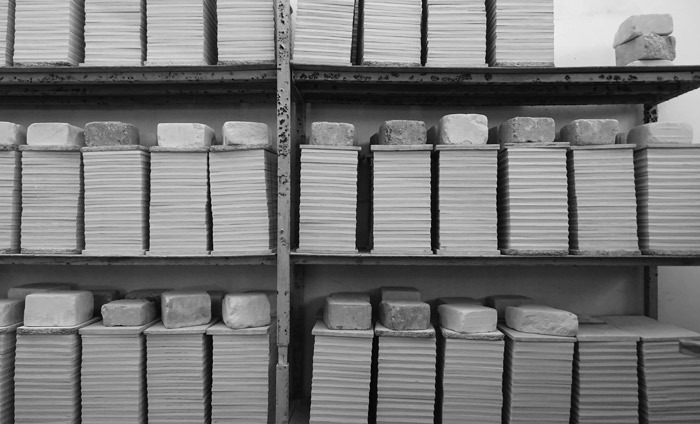 This film explains what is involved in making the pottery and the tiles. As with the tiles, the process starts with the clay. 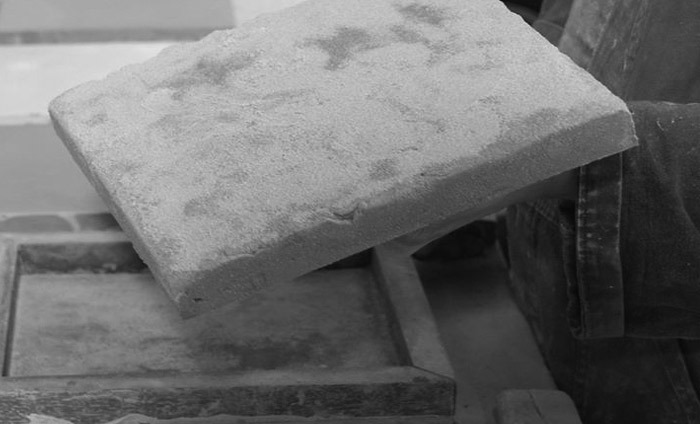 The glazed floortiles are formed by hand in a sanded hand mould. 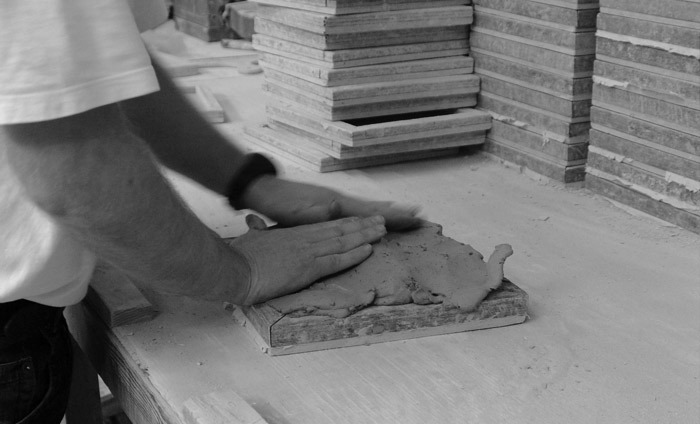 After cutting off the clay, the glazed floortiles must dry in the mould. 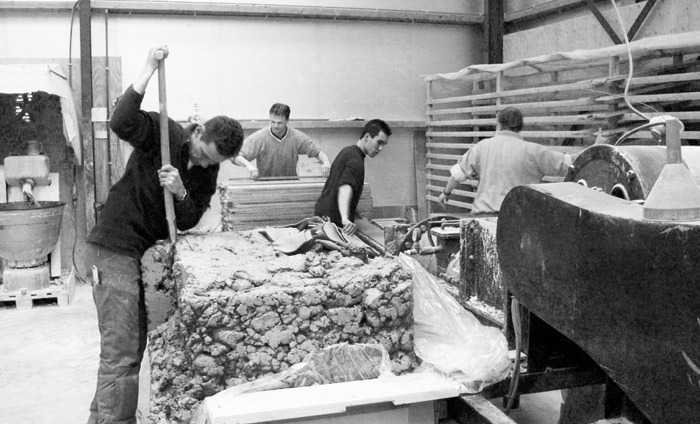 After a day of drying, the tile comes out of the mould and is dry. The glaze is applied manually. The Harlinger glazed floor tile is baked at a temperature of about 1040ºC. 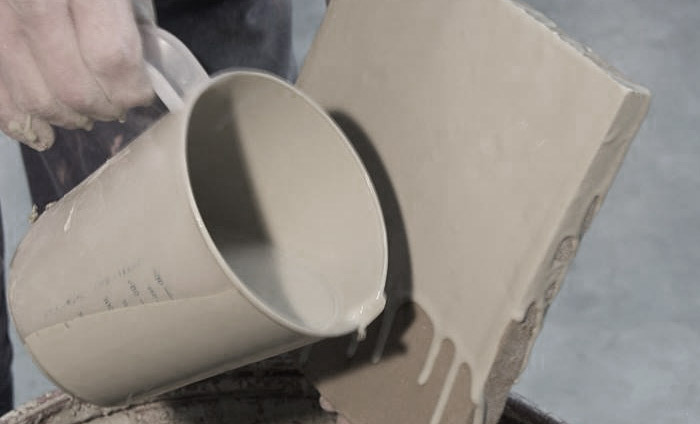 The glazing and painting process of the pottery is virtually the same as the tiles. 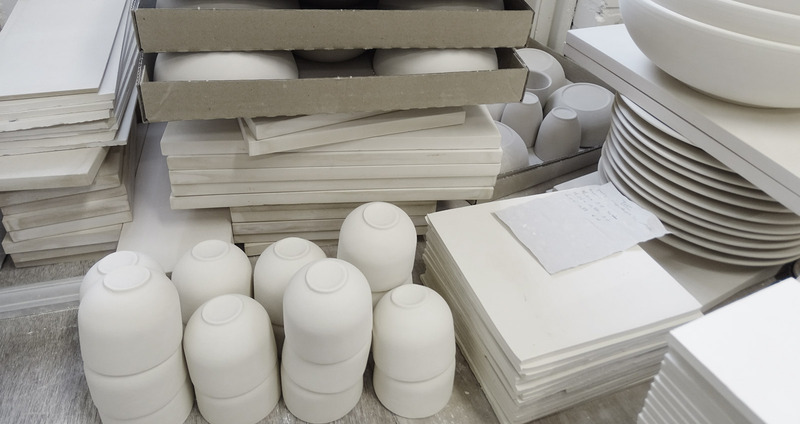 Only forming pottery is different. Apart from cutting, 'casting' and 'turning' also has to be done. Glazing the pottery also requires a different approach. You can choose between spraying or dipping.